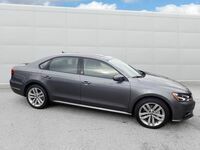 Interested in a 2017 Volkswagen Passat? 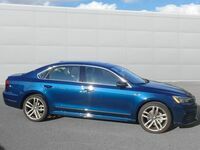 The midsize Volkswagen Passat is as dynamic as they come, offering drivers a sleek, stylish sedan filled with plenty of space and even more entertaining technology. Flowing lines and available LED lighting give the Passat head-turning exterior style while a feature-packed interior keeps the whole family smiling no matter how long the drive. The 2017 Passat also comes with standard convenience extras like a back-up camera and remote keyless entry, plus available driver assistance features like Autonomous Emergency Braking, to ensure a safe and easy drive every time you get behind the wheel. Finally, the Passat's 1.8L, 170-hp TSI engine is turbocharged for both power and efficiency. What could be better than that? Why Buy From Dirito Brothers Volkswagen? If you want a unique car-buying experience that is tailored to your needs, then Dirito Brothers Volkswagen is the place for you. As a family owned and operated dealership, we pride ourselves on serving Walnut Creek and all of the East Bay area with the knowledge and passion not found anywhere else. We work tirelessly to provide you and your family with the service and deals you deserve, and catering to our customers in our at our state-of-the-art facility is something we do best. If you’re ready to get your Volkswagen experience started, take a look at the resources on our website or give us a call. We look forward to helping you choose the Volkswagen model of your dreams!